Hanlon began the 1892 season with Pittsburg, but he strained a tendon in his right leg in practice before the first game and did not appear in any games. On May 5, 1892, Hanlon signed as captain and manager of the Baltimore Orioles. He took over as manager after George Van Haltren and John Waltz led the team to a 3–16 record in the first 19 games. Hanlon fared only somewhat better than Van Haltren and Waltz, as the team went 43-85 for the remainder of the season and finished 12th (last place) in the National League. In September 1892, Hanlon showed nerve in trading George Van Haltren to the Pittsburgh Pirates in exchange for Joe Kelley and cash. Van Haltren was the Orioles' best hitter, a veteran who had hit compiled a .324 batting average from 1889 to 1891. Kelley was a rookie outfielder who hit .239 for the 1892 Pirates. Kelley promptly became one of the best players in the game, batting .393 in 1894, .365 in 1895 and .364 in 1896. Kelley was later inducted into the Hall of Fame. In January 1894, Hanlon negotiated a remarkably one-sided trade with the Brooklyn Grooms, acquiring Dan Brouthers and Willie Keeler in exchange for Billy Shindle and George Treadway. 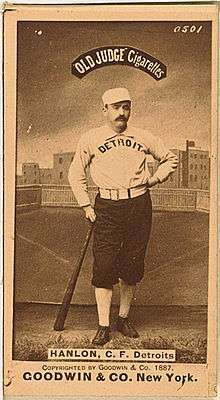 Brouthers was an established slugger who had been teammates with Hanlon in Detroit. Brouthers hit .347 and drove in 127 runs for the 1894 Orioles. Keeler had played only 41 games before joining the Orioles, but under Hanlon's guidance, Keeler hit .371 in 1894, .377 in 1895, .386 in 1896, and won batting titles in 1897 and 1898 with averages of .424 and .385. Shindle hit .274 in five seasons with Brooklyn, while Treadway hit .301 for two seasons in Brooklyn and was then out of the major leagues. Brouthers and Keeler were both inducted into the Hall of Fame. 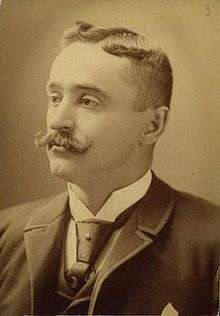 Hanlon introduced the hit and run play during the 1894 season. He took the Orioles to Macon, Georgia, for spring training, a move that was called a "goofy venture" in the press. While in Macon, he practiced and perfected the hit and run. In the opening series of the 1894 season against the New York Giants, Hanlon's players ran the hit and run 13 times. New York manager John Montgomery Ward objected to the tactic, claiming that Hanlon "wasn't playing baseball, but a new game." The tactic was deemed to be legal, and Hanlon proudly demonstrated it for fans before games started during the 1894 season. 1 2 3 "Ned Hanlon Managerial Career". baseball-reference.com. Retrieved July 6, 2014. 1 2 3 4 5 "Hanlon, Head of Park Board Is Dead at 79: Former Owner Of Orioles Called Father Of Modern Baseball; John J. McGraw One of Proteges; City Official Began Professional Diamond Career In 1875". The Sun. Baltimore. April 15, 1937. pp. 24–25. 1 2 3 4 5 6 7 8 9 10 11 Edgar G. Brands (April 1937). "Ned Hanlon, Leader of Famous Orioles and Noted Strategist of Game, Dies at 79: Devised Hit and Run and Other 'Inside' Plays; He Discovered and Developed Many Players and Pilots; Won Five Flags at Baltimore and Brooklyn". The Sporting News. p. 12. 1 2 Joseph E. Shaner (December 7, 1949). "Hanlon and Dunn – Famed Baltimore Leaders: As Owners and Pilots, They Produced Many Pennant-Winning Clubs; Ned Fathered Inside Ball and Developed Managers". The Sporting News. p. 7. 1 2 3 4 5 6 7 8 9 10 11 12 13 "Ned Hanlon Statistics and History". baseball-reference.com. Retrieved July 4, 2014. ↑ 1870 U.S. Census entry for Terrance and Marry Hanlon in Montville, Connecticut. Son Edward, age 13. Source Citation: Year: 1870; Census Place: Montville, New London, Connecticut; Roll: M593_113; Page: 282B; Image: 563; Family History Library Film: 545612. Ancestry.com. 1870 United States Federal Census [database on-line]. 1 2 1880 U.S. Census entry for Terrance and Mary Hanlon and family in New London, Connecticut. Son Edward, age 22, identified as a professional ball player. Source Citation: Year: 1880; Census Place: Norwich, New London, Connecticut; Roll: 108; Family History Film: 1254108; Page: 310B; Enumeration District: 098; Image: 0102. Ancestry.com. 1880 United States Federal Census [database on-line]. ↑ "Ned Hanlon Minor League Statistics". baseball-reference.com. Retrieved July 4, 2014. ↑ "Notes and Comments" (PDF). The Sporting Life. October 21, 1885. p. 3. ↑ "Items on the Wing: Gathered by "Mal" While Accompanying the Michigan Giants" (PDF). The Sporting Life. June 9, 1886. p. 1. ↑ "1886 Detroit Wolverines". baseball-reference.com. Retrieved May 13, 2014. ↑ "1887 National League Team Statistics and Standings". baseball-reference.com. Retrieved May 12, 2014. ↑ "Hanlon's Acquisition" (PDF). The Sporting Life. November 28, 1888. p. 4. 1 2 3 "Hanlon's An Oriole: He Will Serve as Captain and Manager – A Sketch of His Career". The Sun. Baltimore. May 1892. 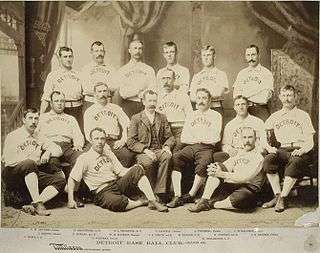 ↑ "1889 Pittsburgh Alleghenys". baseball-reference.com. Retrieved July 4, 2014. ↑ "A Hard Shot: Ned Hanlon Shows How Poorly the Pittsburg Club Managed Affairs" (PDF). The Sporting Life. November 20, 1889. p. 5. ↑ "1890 Pittsburgh Burghers". baseball-reference.com. Retrieved July 4, 2014. ↑ "Good Words for Hanlon: The Pittsburg Manager-Captain's Fidelity and Loyalty Praised" (PDF). The Sporting Life. November 1, 1890. p. 4. ↑ "Why is our baseball team called the Pirates?". Pittsburgh City Paper. August 14, 2003. 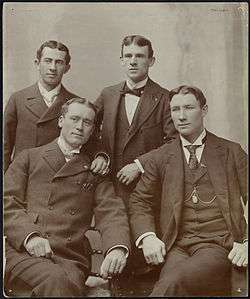 ↑ "1891 Pittsburg Alleghenys". baseball-reference.com. Retrieved July 4, 2014. ↑ "Editorial Views, News, Comment" (PDF). The Sporting Life. May 14, 1892. p. 2. 1 2 3 "1892 Baltimore Orioles". baseball-reference.com. 1 2 "1894 Baltimore Orioles". baseball-reference.com. ↑ "John McGraw Statistics and History". baseball-reference.com. Retrieved July 5, 2014. ↑ "Wilbert Robinson Statistics and History". baseball-reference.com. Retrieved July 5, 2014. ↑ "George Van Haltren Statistics and History". baseball-reference.com. Retrieved July 5, 2014. ↑ "Joe Kelley Statistics and History". baseball-reference.com. Retrieved July 5, 2014. ↑ "Heinie Reitz Statistics and History". baseball-reference.com. Retrieved July 5, 2014. ↑ "Hughie Jennings Statistics and History". baseball-reference.com. Retrieved July 5, 2014. ↑ "Steve Brodie Statistics and History". baseball-reference.com. Retrieved July 5, 2014. ↑ "Dan Brouthers Statistics and History". baseball-reference.com. Retrieved July 5, 2014. ↑ "Willie Keeler Statistics and History". baseball-reference.com. Retrieved July 5, 2014. ↑ "Kid Gleason Statistics and History". baseball-reference.com. Retrieved July 5, 2014. ↑ "1895 Baltimore Orioles". baseball-reference.com. ↑ "1896 Baltimore Orioles". baseball-reference.com. ↑ "1897 Baltimore Orioles". baseball-reference.com. ↑ "1898 Baltimore Orioles". baseball-reference.com. 1 2 3 "Ned Hanlon Hall of Fame Profile". National Baseball Hall of Fame and Museum. Retrieved July 4, 2014. 1 2 3 4 5 John Steadman (February 15, 1995). "Shortchanged Hanlon brought baseball riches". Baltimore Sun. ↑ Mike Klingaman (July 8, 1996). "'Foxy' Hanlon was sly but successful Scientific chicanery of manager helped teams to 1,313 wins in 19 years". The Baltimore Sun. ↑ Mark Lamster (2007). Spalding's World Tour: The Epic Adventure that Took Baseball Around the Globe – And Made it America's Game. Public Affairs. p. 268. ISBN 1586485954. ↑ "Wee Willie Keeler". The Florence Times. March 2, 1939. p. 5. ↑ "Will Hanlon Go And Take His Club Of Orioles To The Borough Of Brooklyn? A Good Business Scheme; In That Event Robinson Might Manage A Team Here Mr. Abell, The Annual Loser, Has Conferred With The Local Owners--That A Big Offer Was Made Is Admitted By The Baltimore Manager--Reasons For And Against The Deal". The Sun. Baltimore. October 20, 1898. p. 8. ↑ "Manager Hanlon Home: Work On The Amalgamation Of The Baltimore And Brooklyn Teams Delayed; Mr. Von der Horst's Illness; The Oriole President Looks For A Pennant On Long Island Has Not Yet Thought About A Manager for The Home Club--Thinks There Will Be Four Franchises To Buy If Eight-Club League Is Run". The Sun. Baltimore. December 19, 1898. p. 10. 1 2 3 Zack Triscuit. "Ned Hanlon". SABR. Retrieved July 5, 2014. ↑ "1899 Brooklyn Superbas". baseball-reference.com. Retrieved July 5, 2014. ↑ "1900 Brooklyn Superbas". baseball-reference.com. Retrieved July 5, 2014. ↑ "1901 Brooklyn Superbas". baseball-reference.com. Retrieved July 5, 2014. ↑ "1902 Brooklyn Superbas". baseball-reference.com. Retrieved July 5, 2014. ↑ "1903 Brooklyn Superbas". baseball-reference.com. Retrieved July 5, 2014. ↑ "1904 Brooklyn Superbas". baseball-reference.com. Retrieved July 5, 2014. ↑ "1905 Brooklyn Superbas". baseball-reference.com. Retrieved July 5, 2014. ↑ "Hanlon to Manage Reds: Well-Known Baseball Man Goes To Cincinnati; He Will Get $8,000, It Is Said". The Sun, Baltimore. December 15, 1905. p. 8. ↑ "1906 Cincinnati Reds". baseball-reference.com. Retrieved July 5, 2014. ↑ "1907 Cincinnati Reds". baseball-reference.com. Retrieved July 5, 2014. ↑ "There'll Be Baseball: Hanlon Buys Montreal Club For $5,000 With Players; In the Eastern League Now; Mr. Dooley, The Late Owner, May Become Manager, Or Wilbert Robinson May Be Chosen For the Place". The Sun. Baltimore. February 6, 1903. p. 9. ↑ "Hanlon Is Sole Owner: He Buys Up All The Stock Of Baltimore Baseball Club; Frank and Witnernitz Sell; Hughey Jennings Also Lets His Bit Go And Jack Dunn May Become Real Oriole Magnate". The Sun. Baltimore. November 11, 1909. p. 10. ↑ "Jack Dunn Buys Orioles: Former Manager Is Sole Owner Of Baltimore Baseball Club; Old Robbie Is a Director; Charles H. Knapp Is Third Director And Secretary And Treasurer – New Faces To Be Seen". The Sun. Baltimore. November 17, 1909. p. 10. ↑ "Hanlon With Federals: Famous Old Baseball Manager Enthusiastic For New League; Elected a Director of Club; Local Delegates To Meeting In Chicago Leave Today – President To Be Elected For New Body". The Sun. Baltimore. November 13, 1913. p. 12. ↑ "Baltimore Terrapins Team History & Encyclopedia". baseball-reference.com. Retrieved July 5, 2014. ↑ In December 1937, the Centennial Committee of the Baseball Hall of Fame announced its inductees, including three managers, John McGraw, Connie Mack, and George Wright. Cap Anson and Charles Comiskey were inducted two years later in 1939. Two more Hanlon disciples, Wilbert Robinson and Hughie Jennings, were inducted in 1945. In the 1946 vote that led to the creation of the Honor Rolls of Baseball, Hanlon received the 10th highest vote count. Eight of the nine individual receiving more votes than Hanlon in that 1946 vote were granted full induction into the Hall of Fame by 1964 with the ninth, Bucky Harris, being inducted in 1976. Hanlon was not inducted until 1996. ↑ Keeler played for Hanlon from 1894 to 1902. Prior to 1894, Hanlon's coaching record was 220-288 (.433). After 1902, his coaching record was 304-441 (.408). Combining all seasons without Keeler, Hanlon's coaching record was 524-729 (.418). ↑ Lawrence S. Ritter (1966). The Glory of Their Times: The Story of the Early Days of Baseball Told by the Men Who Played It. William Morrow. pp. 52–53. 1 2 3 1900 U.S. Census entry for Edward Hanlon, born 1857 in Connecticut, employed as a baseball manager. Source Citation: Year: 1900; Census Place: Baltimore Ward 15, Baltimore City (Independent City), Maryland; Roll: 614; Page: 11A; Enumeration District: 0189; FHL microfilm: 1240614. Ancestry.com. 1900 United States Federal Census [database on-line]. 1 2 3 Census entry for Edward Hanlon, age 52, born in Connecticut, occupation "own income." Source Citation: Year: 1910; Census Place: Baltimore Ward 14, Baltimore (Independent City), Maryland; Roll: T624_556; Page: 1A; Enumeration District: 0173; FHL microfilm: 1374569. Ancestry.com. 1910 United States Federal Census [database on-line]. ↑ 1920 U.S. Census entry for Edward Hanlon, age 59, born in Connecticut, occupation "real estate" and "baseball". Source Citation: Year: 1920; Census Place: Baltimore Ward 14, Baltimore (Independent City), Maryland; Roll: T625_663; Page: 9B; Enumeration District: 230; Image: 781. Ancestry.com. 1920 United States Federal Census [database on-line]. ↑ 1930 U.S. Census entry for Edward Hanlon, age 72, born in Connecticut, "retired." Source Citation: Year: 1930; Census Place: Baltimore, Baltimore (Independent City), Maryland; Roll: 858; Page: 3B; Enumeration District: 0214; Image: 8.0; FHL microfilm: 2340593. Ancestry.com. 1930 United States Federal Census [database on-line]. ↑ "Hanlon to Park Board: Former Baseball Magnate Slated For Successor To James T. Stuart, Whose Term Ends Oct. 1; Means Control for Mayor; Backers Of Sunday Games Pleased by News -- Boat Clubs May Get To Fort McHenry". The Sun. Baltimore. September 24, 1916. p. 16. ↑ "Lieut. Hanlon Killed: Baltimore Hero Died Fighting Huns In France; Son of Ex-Oriole Manager; Was Recently Cited For Conspicuous Bravery In Battle--Engaged To Wed St. Louis Girl". The Sun. Baltimore. August 11, 1918. p. 16. ↑ "To Be Hanlon Park: Former Ashburton Park Renamed To Honor Baltimore Hero; Son of Park Commissioner; Lieut. Joseph T. Hanlon, One Of First To Be Killed, Regarded As Brilliant Officer". The Sun. Baltimore. January 7, 1920. p. 4. ↑ "Mrs. Hanlon Dies at St. Joseph's: Wife Of Park Board President Heart Ailment Sufferer Several Years; Obsequies Tomorrow; Requiem Mass At Corpus Christi Church--Burial Will Be In New Cathedral Cemetery". Baltimore Sun. December 6, 1932. p. 5. ↑ "Edward Hanlon Services Today: Requiem Mass To Be Said In Corpus Christi Catholic Church Connie Mack And Clark C. Griffith Among Honorary Pallbearers". The Sun. Baltimore. April 17, 1937. p. 10. ↑ "Edward Hanlon Leaves Estate Of $128,000: Son And Three Daughters To Share Property Left By Former Park Board Head". The Sun, Baltimore, Maryland. May 14, 1937. p. 10.